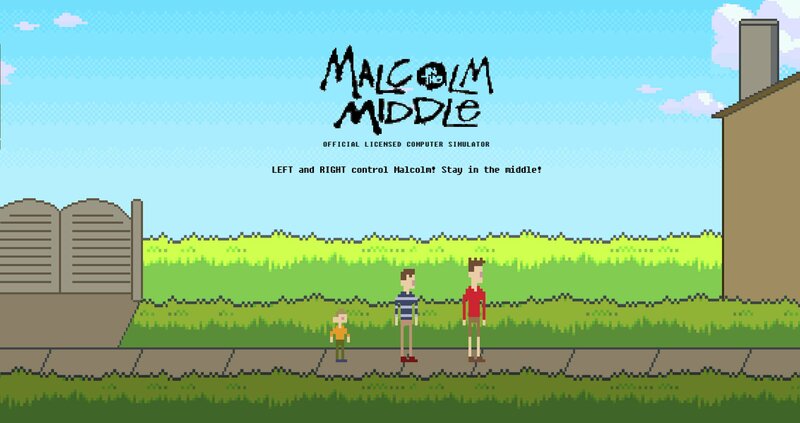 Malcolm in the Middle Video Game! We recently discovered is a new Malcolm in the Middle video game! The first of its kind. The new game created by Alec Robbins allows you to play as Malcolm, with the object of the game being to keep Malcolm walking in between Reese and Dewey. If Malcolm fails to stay in the ‘Middle’ then you will have to start all over again. During the game you score points (my high score is 63,000) and if you score more than 100,000 points in the game the sky will start to turn red and the boys will become frustrated that you’re still playing the game! As the game is played speech bubbles pop up referencing the show, a really nice touch. Designed in an ‘8 bit’ style it features an ‘8 bit’ Malcolm theme song. Hope everyone has a fun time playing! Malcolm in the Middle Voting Community is the leading unofficial site for FOX's hit TV show Malcolm in the Middle with 1000s of members, active Forum, 10,000+ pictures in our Gallery, an FAQ and an Episode Guide where you can rate episodes and see detailed summaries. The front page will bring you the latest news on what the Cast are up to now.